The NVIDIA GeForce MX130 is another entry-level offering from NVIDIA based on the older but still capable Maxwell architecture. How does it fare when compared to the MX150 and more importantly, the 940MX, to which it is a direct successor? Let's take a look. NVIDIA has been pushing its graphics advancements to the lower tiers in a bid to offer something more than the integrated graphics solutions found in most notebooks and ultrabooks. 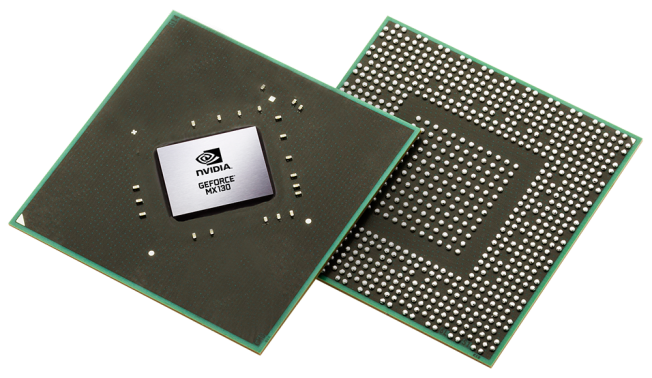 The latest to come from NVIDIA's stable is the GeForce MX130 and GeForce MX110. Unlike the GeForce MX150, the MX130 is still based on the older Maxwell architecture (GM108), which makes it a direct successor to the GeForce 940MX. In fact, the specifications of the MX130 suggest that it is more of a re-brand of the 940MX than a true successor. Acer sent us some benchmark scores for a sample notebook powered by the Intel Core i5-8250U CPU with 8 GB RAM and the NVIDIA GeForce MX130 GPU. Let us have a look at these scores and see how the MX130 compares to the MX150 and the 940MX. In 3D Mark 11, the MX130-based Acer sample trailed significantly behind the MX150 but fared almost identical to the 940MX-based Lenovo ThinkPad T470p, which boasts of an Intel Core i7-7700HQ CPU and a 940MX. These scores suggest that the Pascal architecture of the MX150 does have its benefits even at the low end of the spectrum. In 3DMark, the MX150-based Acer Swift 3 SF315 had an expected lead in every test over the MX130 Acer sample notebook but when compared against the Lenovo ThinkPad T470p, we find that there is almost no difference in the scores between the MX130 and the 940MX. The GM108 GPU-based NVIDIA GeForce MX130 ticks all the right boxes at the lower-end of the dedicated GPU spectrum. The MX130 is still based on the 28nm Maxwell architecture, therefore, it does not bring along improvements of the more energy efficient Pascal architecture. However, we can expect budget ultrabooks to feature this GPU very soon along with the 8th generation Intel 'Kaby Lake-R' chips, thereby, bringing entry level dedicated graphics performance within the reach of many. For more benchmarks and up to date information, see our dedicated page for the NVIDIA GeForce MX130.